Renting a home in Richmond Virginia can be a challenge with the lack of inventory, so we have created a series “Richmond Virginia Rental Tips,” which will hopefully guide you through the process of renting a single family home in Richmond Virginia. 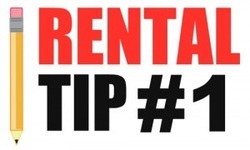 If you are looking to rent an apartment in Richmond some of these tips may not apply. After making the decision to rent a home the first thing you need to do is determine your move date. If you look too early you will be wasting time and energy, but if you look too late you might find yourself scrambling. So when should you start your rental search? My recommendation is to begin your search 45 days prior to your actual move date and start looking 30 days out. Occasionally a landlord will list their property in the MLS 45-60 days before a tenant is able to take occupancy, but that is very rare. Typically 90% of the homes listed for rent in are available immediately or within the next 15 days. So if you don’t have to move for 45-60 days it is highly unlikely a landlord is going to hold their property for that amount of time possibly passing up other tenants who are looking for a sooner occupancy date. The longest I’ve seen a landlord hold a property is 30 days.